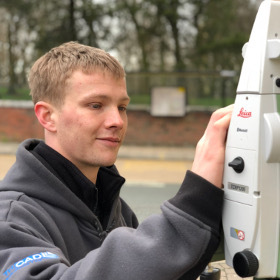 Our company is one of the UK's leading surveying firms. Our company and our product is time proven to supply constant data. We don’t do what we don’t know, we will always deliver what we say and advise with you in mind. A service with support you would expect and staff who care about you. Data that you can rely on ensuring your project gets off to the best start possible. Since the start of our company in 2002 we've been passionate about achieving better results for our clients. 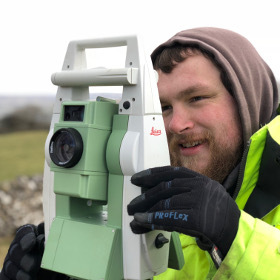 We have a track record of delivering excellent results for our clients, with particular attention to detail across surveys, drawings and plans. As a surveying company you would expect us to have done this type of thing before. In fact we have. Since 2005 we have performed over two thousand surveys. Our team has the experience to deliver high quality work to your specification within your time frame. Having used Tricad's services for many years, both in my furniture company's CAD and CNC work and in architectural drawings for my property company, I have been really impressed by the attention to detail, the quality of the work and the prompt service. Whether you are sitting down with them or instructing them by phone or email they cope surprisingly well. For example, during a trip to Rumania for a client of mine I discovered a fault in the shape of a component being produced by a CNC. I emailed Mark Wilkin at Tricad and he adjusted the DXF file and emailed it back to me at the factory in Rumainia. The machine was up and running correctly again in less than an hour! I have also found their 3D images to be really useful for things like a chair design being made in Veitnam. Veitnam is a low tech productionset up for us where something like a 3D model helps with the understanding of a concept and also breaks through difficult language barriers. I recommend their services every time. Great work lads! Thanks yet again, Good product, good price. Steve Allen Properties Ltd.
TriCAD far exceeded our expectations in the quality of their work & professionalism and would highly recommend them to others.